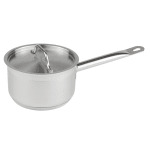 Enjoy years of exceptional use when you invest in this 2 qt induction ready sauce pan. 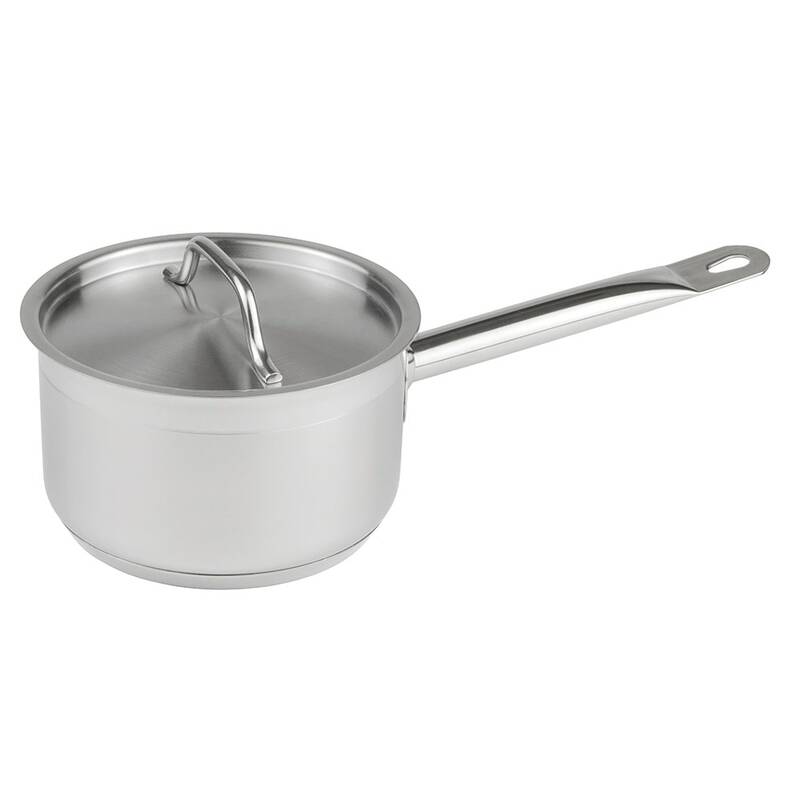 This quality crafted Update International Super Steel sauce pan is induction ready and has a 2 qt capacity! Complete with a cover, this 2 qt sauce pan makes preserving temperatures and keeping food contaminate free easy. The beautiful stainless steel construction promotes even heating and better flavor infusion. The 6-1/2"-x 3-3/4" diameter makes visibility and food prep easy and comfortable. Investing in a quality stainless steel sauce pan means that you will enjoy better quality foods and spend less on replacements!